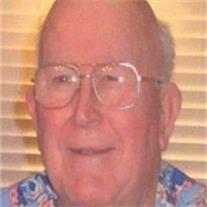 Joseph Aaron Sorenson of Mesa, Arizona, passed away at the age of 78 October 30, 2011. Joe is survived by his three sons and three daughters, 15 grandchildren, 3 great-grandchildren and 3 sisters. Joe was a devout member of The Church of Jesus Christ of Latter-day Saints his entire life. A viewing will be held Wednesday, November 2 at Bunker’s Garden Chapel, 33 N. Centennial Way in Mesa from 6- 8 PM. Funeral services will be held Thursday, November 3 at the Mesa North Stake, 933 E. Brown Road. Viewing at 9 AM and services beginning at 10. Interment will be at the Mesa Cemetery.